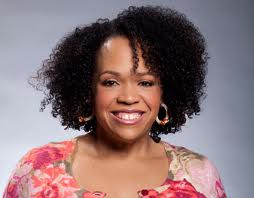 Lisa Price speaks Carols Daughter, finding balance and honouring her Mother’s spirit! She took a chance on a dream and turned it into reality. A big, successful, lucrative, inspirational and revered reality, which has turned the beauty world on its ear. 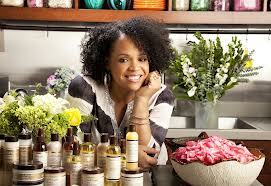 Meet Lisa Price, founder and creator of the fastest growing natural beauty range in the US right now called Carols’ Daughter. If you keep up with the product trends at multi-million dollar stores like Sephora and Macy’s then you will know just how sought after this exquisite range is. The brand proudly boasts natural and organic ingredients throughout its range of hair care, skincare, hand care and fragrances, the basis of which started off as a handmade hobby of Lisa’s when she worked on the set of the famed 80’s sitcom The Cosby Show. With the encouragement of her mother Carol, whom Lisa named her product and business after, she eventually opened her first store in Brooklyn, and word spread. She now has a second store in Harlem on the iconic 125th Street as well as various department stores carrying her range across the US, Jamaica and of course Harrods in London. How would you best describe your brand and product Carols Daughter and what you believe it brings to the world of health and beauty? It has always been my mission to make and sell quality products made with rich ingredients that perform and also smell amazing. I am willing to compromise on any of those points. I want women, all women, no matter what type or texture hair they and no matter the color of their skin, to use Carol’s Daughter. I want her to have what she needs, offered at an affordable price, that is easy to use but still makes her feel special. I find your story so inspiring and motivational for woman seeking to carve that identity of independence and security for themselves. Can you describe what this journey has been like for you, the challenges you have and continue to face and the blessings bestowed on you and your business as it continues to thrive? Being an entrepreneur has taught me how to be tougher, smarter and stronger. I cannot lead if I do not know where I am going and also fully understand where I have been. I have learned to look at everything through the filter of, “what can I do to make this situation better “or “what have I done to invite this situation into my life,” whether it’s good or bad. This helps to eliminate finger pointing and more quickly get to resolution. The process is a difficult one and I am a work in progress, but I like the ultimate results. How and why did you name your line Carols Daughter? It is quite simple, my mother’s name was Carol and I am her daughter. Mommy was the one who, nineteen years ago, first suggested that I sell my products. I had been indulging my knack for mixing essential oils and my love of fragrance to make hair and skincare products for my family and loved ones. I followed her advice and sold body butters at a church flea market. The rest, as they say, is history. Opening your first store in Brooklyn back in 1999 was your first foray into the beauty world and must have been so overwhelming at first – what you know now compared to what you knew then, would there be anything you would have done differently or is the experience still a cathartic one for you as you go on to open more stores nationally? Opening that first store was a terrifying process but a thrilling one. I can’t say I would want to go back in time and change what I did because I would not have learned the lessons I needed to learn from that process. However, having owned and operated stores for over 10 years now, we have a much better handle on the Operations side of things. Figuring out exactly what the customer wants when and how she wants it…well, that is the holy grail of Retail. I first came into contact with your products whilst living on a US Naval Base in Sicily in the Navy Exchange department store’s beauty section and can I tell you I was like a kid in a candy store trying and buying ;o) What do you think is the success behind your brands popularity? I think the Carol’s Daughter brand is so successful because, even after many years of success and expansion, I still pour my heart into every product. Each bottle and jar says “Made with Love,” and we TRULY mean that. From the ingredients to the fragrance to the package to the message. It is a well thought out process to convey that love. Being from South Africa originally and then moving to Australia with my family some 25 years ago I have grown up watching the face of Australia change over the years and become more ethnically diverse – however what we still lack over here are products that reflect and cater to different cultures and ethnicities. Do you think Carols Daughter will eventually be sold to countries like Australia and what are your current plans for expansion? Currently, we have a small selection in Harrods’s in London, a beautiful apothecary in Jamaica, called Nettle and Moss, just launched our line there this past September and before the year is out we will open a few small doors in St. Lucia. We take things slowly and with much thought. So, I will see how these doors fare and add accordingly. The name Carols Daughter has been on the lips of many celebrities and your investors include Jada and Will Smith, Jay Z, and Mary J Blige, who is the one of the current spokeswomen for the brand. How did these amazing people step up and lend their support to you and the growth of business? All of the people who have lent their name to my brand were fans and users of my product on their own, and chose to endorse my company because they believed in what I was doing and wanted to contribute. I am incredibly grateful for their outpouring of support and enthusiasm for the brand. What do you like to do in your down time Lisa? Favorite music / artists to listen to? I have always been a movie fan. My dad introduced me to classic films when I was a kid and we spent many Saturday afternoons seeing movies. It is not uncommon to catch me watching an old Hitchcock film, like Rear Window, for the billion-th time. I am a huge music fan and have a broad range of artists that I listen to, but favorites are: Prince, Stevie Wonder, Jill Scott, and Billie Holiday. How do you find a balance with all that you do, never losing sight of your purpose or yourself at the end of the day? I truly believe that because I am living the life I am supposed to live, the universe reminds me each and every day who I am and why I am here. I know that I am a servant. I know that it is not all about me and I know that I have the responsibility to learn and the obligation to teach.